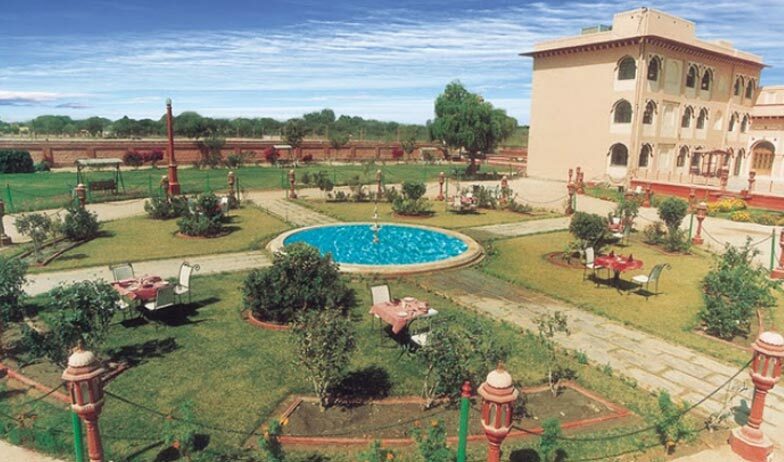 Hotel Basant Vihar Palace, situated in the Lalgarh Palace, is the perfect place to experience the culture of Bikaner, Rajasthan. With only four kilometers away from the city centre, the close proximity of the hotel is the perfect for a fun filled day in the city. 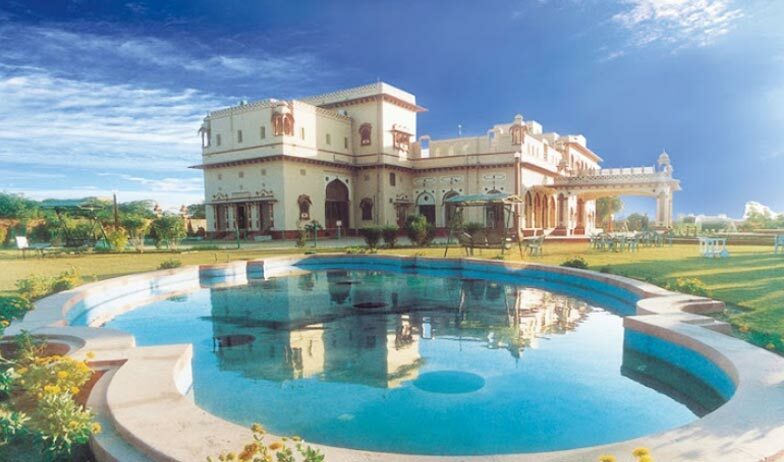 This palace built by Maharaja Sri Ganga Singh ji as a pleasure garden has been transformed into a hotel to bring to its guests the feel of living like royalty. The rooms have been restored in a way to preserve the history of the architecture with enough modern changes to bring comfort and luxury to the guests. The hospitality of the staff and the front desk is sure to leave you feeling like a king with the staff at your every beck and call, prompt with service. 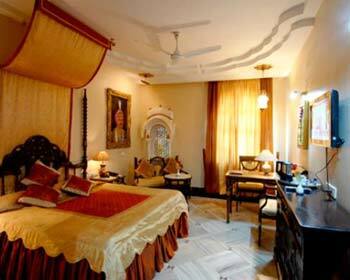 Spacious in size, these Deluxe Rooms are a perfect amalgamation of the rich cultural heritage of the palace and the comforts of a hotel. 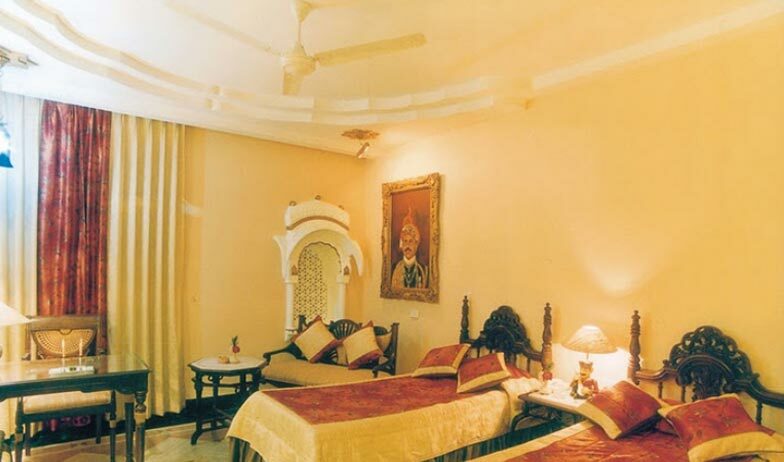 Well-equipped with a king sized bed, these rooms are decorated in the rich old artifacts and colors of Rajasthan. With modern amenities to make your stay more comfortable, the room comes with a tea/coffee maker, a fully stocked mini bar, telephone with direct dial service, a color television with cable channels and an attached bathroom with running hot and cold water. 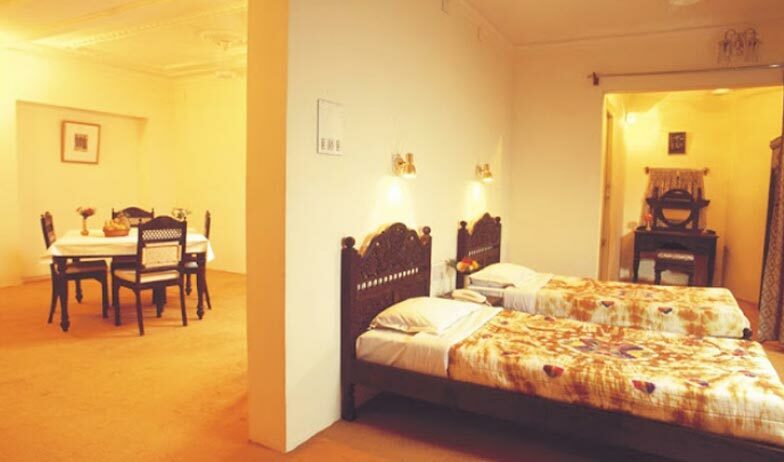 Spread over a spacious area, the room offers a lot of space to move around and be comfortable. 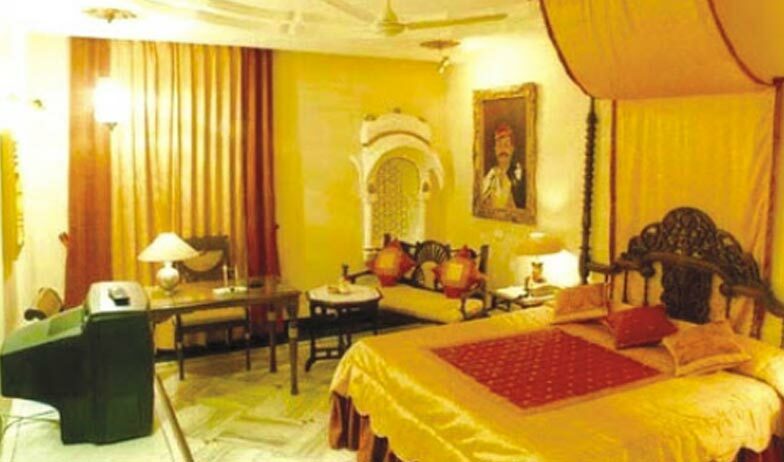 Decorated in rich traditional décor of Rajasthan, the room is well equipped with a king- sized bed, a telephone with direct dial service, a mini fridge well stocked with non alcoholic drinks, an Lcd TV with cable channels and an en-suite bathroom with running hot and cold water. 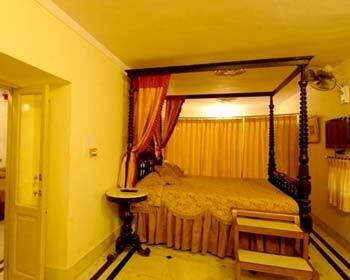 Basant Vihar Palace, Bikaner provides 31 well decorated rooms. 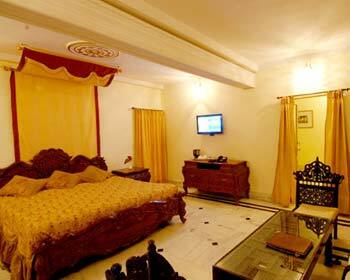 Among these 31 rooms there are 28 Double Rooms and 3 Suites. All these are beautifully decorated and they are large. You can get all modern amenities like attached bathroom, bath tub, shower, satellite TV, mini bar, hair dryer, telephone with STD/ISD and room service. 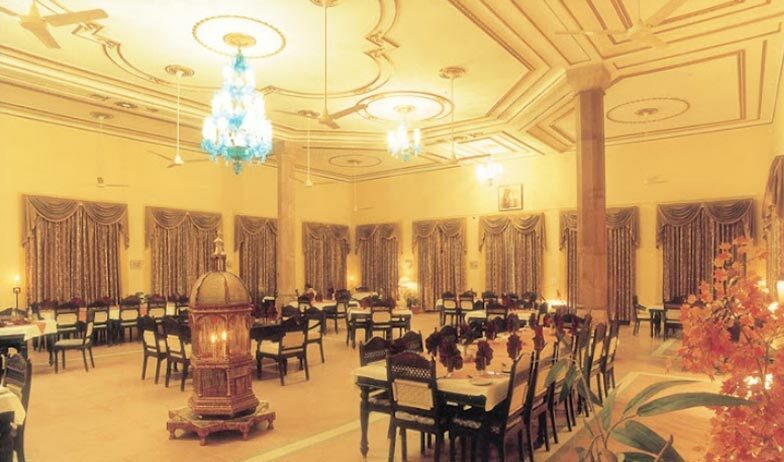 Food is considered an art in the kitchens of the Basant Vihar Palace Hotel. The chefs of the hotel prepare a mouth watering treat for the discerning guests of the hotel in Mughlai, Chinese and Continental tastes. Apart from the multi- cuisine dishes, the Rajasthani flavors prepared by the kitchens of the restaurant are spell binding. Some of the Rajasthani dishes prepared in the kitchens of the palace are said to have been family secrets since generations.